Well, that’s certainly the plan. But there’s a problem writing a book about Charles Darwin. There are so damn many of the things already, how do you make your book different? Which is why I’ve been banging my head against the wall for the last few months. The way I see it, there’s no need for yet another Darwin biography. And there are people far better qualified than me to write about the latest in evolutionary theory. And the vague idea I had for a book about Darwin’s ‘fools experiments’ has just been done. You name it, the topic’s been covered. I mean, there’s even a book of poems about the dude. So, what should I do? What can I say that hasn’t already been said? What have I got going for me that other writers haven’t already got gone? It seems to me, my main strength as a writer on matters Darwinian is I’m a unabashed fanboy. A self-confessed Darwin groupie. A Darwin nerd who can string a few sentences together. I’m someone who delights in both the trivia and the essentials of Darwin’s life and works. Someone who, as I say, has something of a reputation for slipping Darwin into pretty much every conversation. 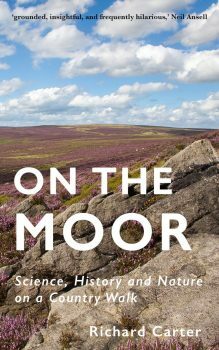 Feedback from my Moor book suggests people enjoyed both its eclectic nature and its humour. They also liked learning new stuff. 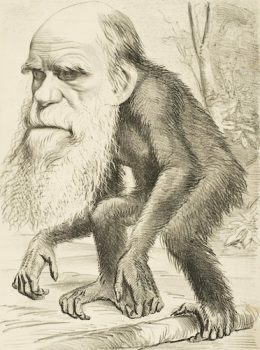 Eclectic, occasionally humorous stuff about Charles Darwin: I can do that! I haven’t managed to come up with a decent title for the book yet. All the good ones have been taken. But my working subtitle is a Darwinian Selection (see what I did, there?). What do you reckon? Has this idea got fully opposable thumbs, or what?